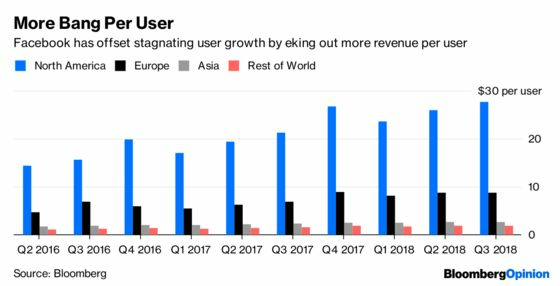 (Bloomberg Opinion) -- Germany is about to remind Facebook Inc. that the tribulations of 2018 are far from over. In fact, they're about to get even more real. The country’s Federal Cartel Office intends to ban Facebook from collecting user data from third parties, the newspaper Bild am Sonntag reported. This will also prohibit data sharing between WhatsApp and Instagram, which Facebook owns. Germany is concerned that Facebook users didn't know they agreed to be tracked across the internet when they signed up for the firm's offerings. The regulator’s move could be a major obstacle to the social networking giant’s plans. With user growth and engagement stagnating, Facebook is increasingly focusing on improving the value of what it offers advertisers. That means doing a better job targeting ads to individual users in order to generate a better return on investment for brands. Which all seems to indicate that CEO Mark Zuckerberg could face as difficult a 2019 as he did 2018. The firm’s shares fell 26 percent last year as the ramifications of the Cambridge Analytica scandal started to play out. But so far, there has been very little actual regulation. The decision in Germany will be one of the first moves to change that. The German investigation on third-party data sharing started in March 2016, predating the Cambridge Analytica story. 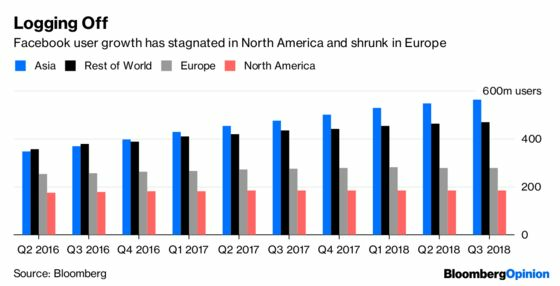 Although skepticism towards Facebook has always been strong in Germany, the fallout from the affair has spread the antipathy globally, making other nations more open to tighter rules. It’s still likely to take some time for the regulator’s decision to force change. Facebook told BamS it would appeal, and follow-up investigations at the European level would probably also require at least a year. That might explain why, despite the mounting regulatory hurdles, analysts remain remarkably bullish on Facebook shares. Of the 53 analysts surveyed by Bloomberg, 41 recommend buying the stock. The average 12-month target price of $185.83 is still almost 30 percent above its Friday closing price. The likely regulation could be a major spanner in the works of Facebook's advertising machine. Investors would do well to note that the regulatory battles are only just beginning.